Our Mens Black Celtic Claddagh is a handsome claddagh pendant. This circular mens claddagh necklace with it’s rich texture accented by black enamel gives it a bold, fresh modern feel. Pledge your eternal friendship, love and loyalty with this gorgeous men’s claddagh necklace. Our Celtic Cross Ring is magnificent and bold. Legend says St. Patrick, while preaching Christianity drew a cross through a Celtic circle symbolic of the moon Goddess. Hence the Celtic cross was born. Today the circle of the cross is viewed as a symbol of God’s endless love. This handsome Celtic cross ring is perfect any Celtic lad or Irishman. This handsome Black and Gold Celtic Cross Necklace is a rocking tribute to ones Celtic heritage and faith. 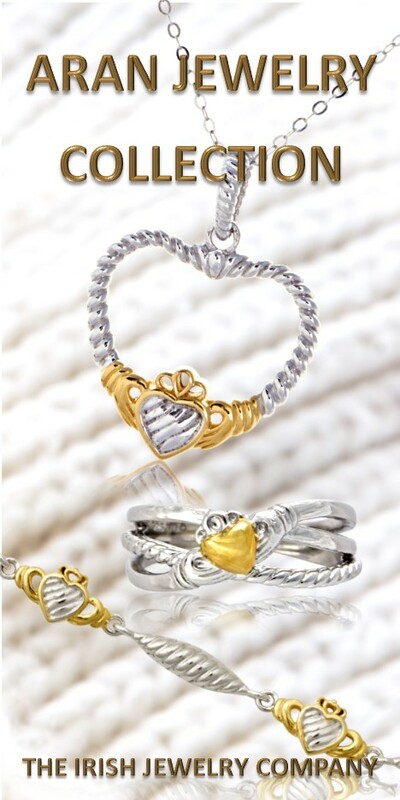 This Aran Claddagh Rope Band is a finely crafted Irish master piece accented in all sterling silver. This designer claddagh wedding band is inspired by the warmth of the Irish wool fibers twisted into the beautiful and strong yarn that is knitted into traditional Aran sweaters. The Aran sweater is a symbol of Irish heritage and traditional Irish customs. The claddagh ring is a symbol of friendship, love and loyalty and it makes the perfect Irish wedding ring for any Celtic man. This Mens Celtic Dragon Bracelet is absolutely magnificant. This brilliant Celtic Dragon Bracelet for men will definetly add an impressive touch to your look. Handsome and ruggard looking the Celtic Mens Dragon Bracelet features braided brown leather with dual Celtic dragon heads crafted in quality stainless steel. 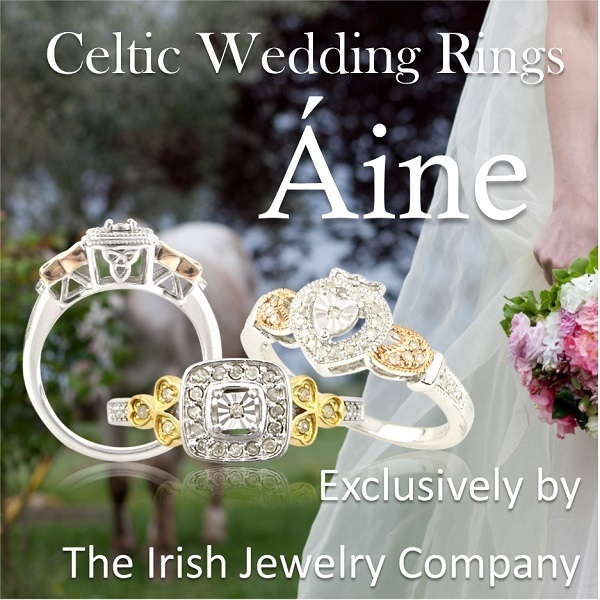 Every jewelry gift from The Irish Jewelry Company comes gift boxed in our signature style, a simple white glossy gift box sealed with a satin emerald green ribbon and our gold label. Included at no additional charge is an Irish Blessing, toast or story card. If this is a gift included at no additional charge is a card for the recipient, hand written for that extra personal touch.